Some UK and US chocolate bars are said to be the same but I did a taste test with friends (from the UK, US, and elsewhere) to find out if this was true. I chose the nearest equivalent bars and we assessed them side by side to see which was better. We looked at appearance, texture, etc. but really it was the taste test that decided things. See which chocolate bars did well in our completely unscientific test. The Mars bar is one of the most popular chocolate bars in the UK so I had high hopes for it in comparison with the US Milky Way. Upon unwrapping, the first thing that stood out was the difference in color. The UK Mars was much lighter than the US Milky Way. We cut some pieces to share and compare and could see there was less caramel in the UK Mars and more chocolate on the sides of the US Milky Way. There was a clear winner on the taste test, the US Milky Way was much better. We could taste the chocolate, caramel and nougat whereas the UK Mars was bland. Once unwrapped the bars were a similar color but it was clear the UK Snickers had a lot more nuts. We tried the UK Snickers first and all agreed it was mouthwateringly good. When we tried the US Snickers we found it was much sweeter, felt powdery in your mouth, and left a bad aftertaste. Most of the group rushed for water after trying it! A clear winner here for the UK Snickers which we wanted to carry on eating till the end. The US Snickers went straight in the bin after the test. I could only find a bag of 'fun size' US Crunchies to buy so I wonder if this is not as popular as it is the UK. All of the group said this was one of their favorite bars (both UK & US testers) before we started. The UK Crunchie tasted a lot more chocolatey whereas the US Crunchie tasted like a chocolate substitute. Also, the US Crunchie's honeycomb tasted metallic. A clear winner here for the UK Crunchie which has better chocolate and honeycomb. Once unwrapped we could see the Rolos did not look the same. The US Rolos were taller, shinier, and harder. When we bit into each one the UK Rolo was not runny whereas the US Rolo was. But the US Rolo tasted like powdery candy. A clear winner here for the UK Rolos which seemed a lot less 'artificial'. The Kit Kats looked pretty similar so it would have to be down to a taste test. The UK Kit Kat was crispier and very mouthwatering. The US Kit Kat had a gritty taste, and undertones of powdered milk and was certainly not mouthwatering. A clear winner here for the UK Kit Kat. 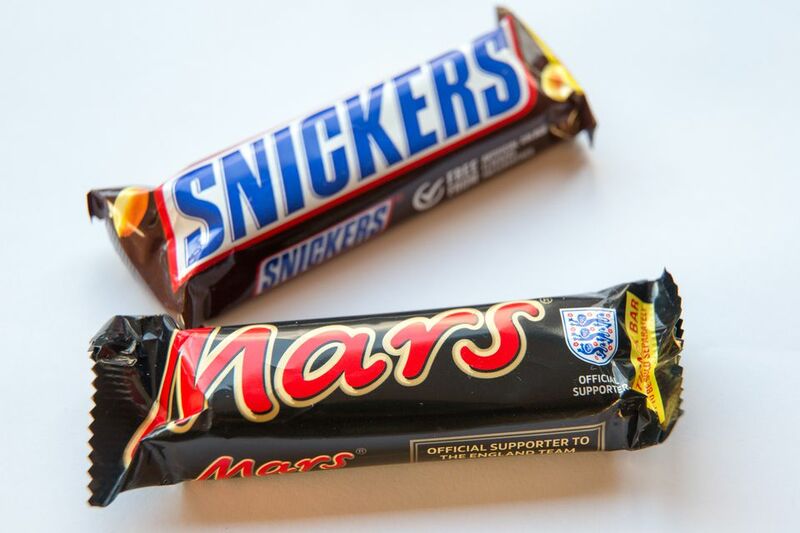 Only one US chocolate bar beat the UK equivalent (Milky Way was better than the UK Mars) but overall, the UK chocolate bars got the thumbs up. The favorite with the whole group was the UK Crunchie. Second place went to the UK Kit Kat.